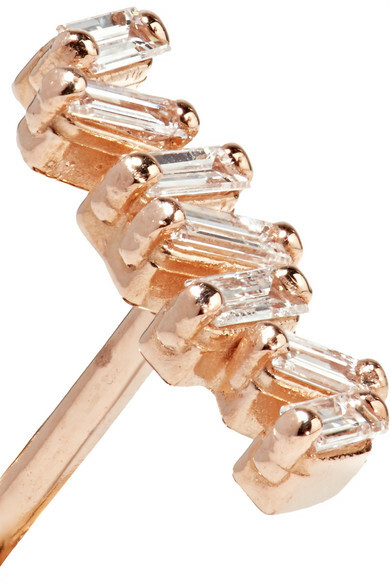 Suzanne Kalan's earrings feature 1.15-carats of baguette-cut diamonds arranged in the brand's signature 'Firework' setting - each stone is randomly placed to evoke movement. 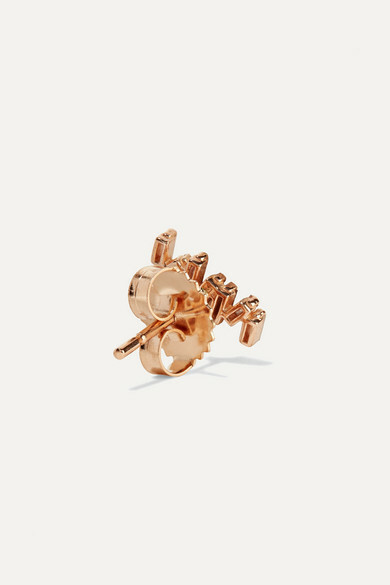 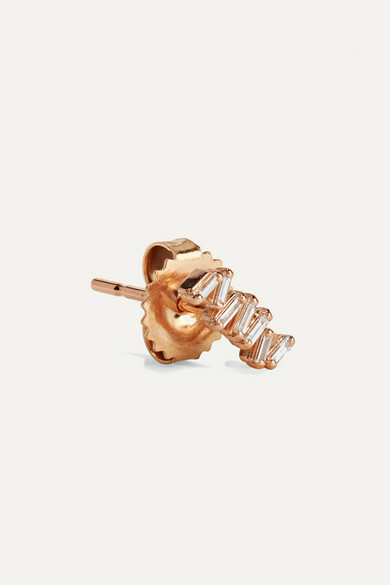 This dainty pair is handmade from 18-karat rose gold and perfectly complements everyday outfits. 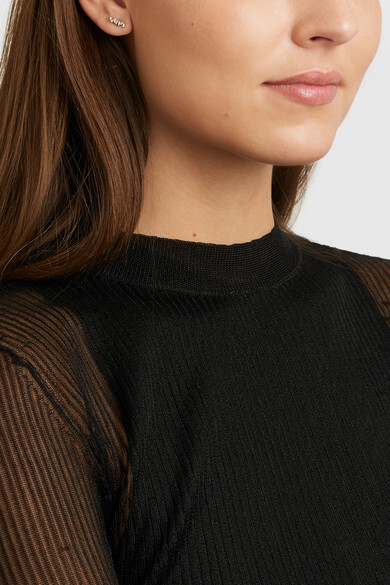 Shown here with: Dion Lee Dress.